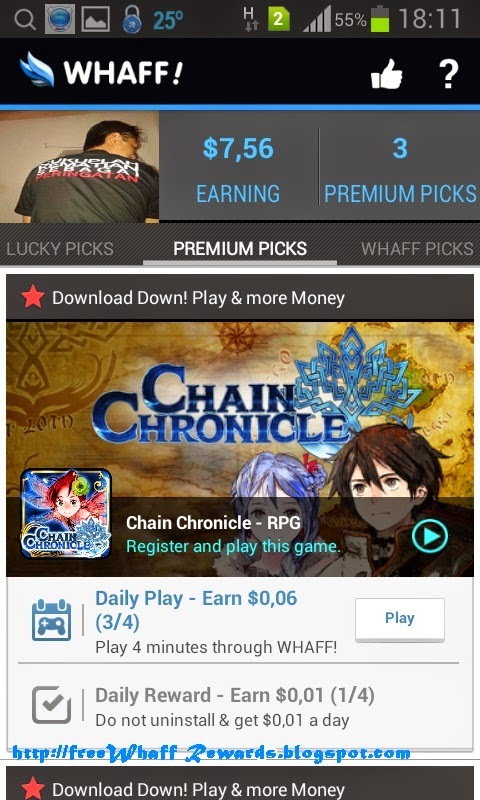 The third case above can be found in the menu on your Whaff account and Whaff Picks. 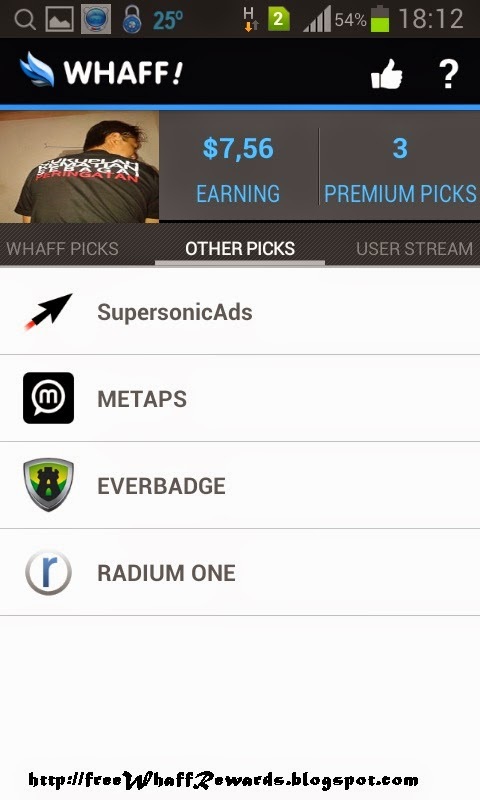 Whaff Premium Picks a premium application application, you can download the application to get paid (average 0.06 to 0.20 dollars to every application download), in addition to the premium Application it will also give the Commission every day by following the rules of the game are given, contonya play the game for 4 minutes a day, open apps 1 minute a day. If the mission is successful then the Earning will soon increase, and could do it again the next day. The Commission can be obtained ranged from 0.01 to 0.05 dollars per 1 application if run in a single day. In many applications, there is a pick-up Whaff which can be downloaded, each application has different Commission rates. 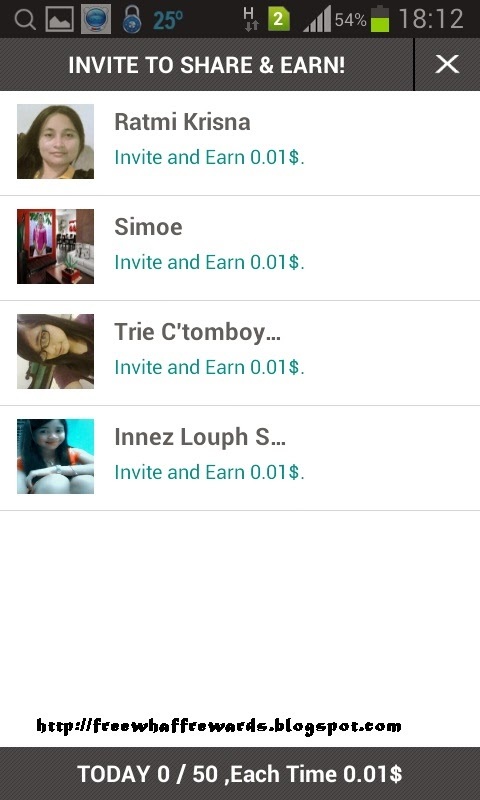 "INVITE TO SHARE & EARN"
You could suggest this as Whaff application messages to facebook friends, friends in return Whaff will add 0.01 Dollars to tab your Earning for 1 friend who in Invite, could also massively. If you have a lot of facebook friends is very nice, no matter my facebook friends will respond to or ignore that message, fixed Whaff will pay!. 0 Response to "How to run until the money into our accounts"